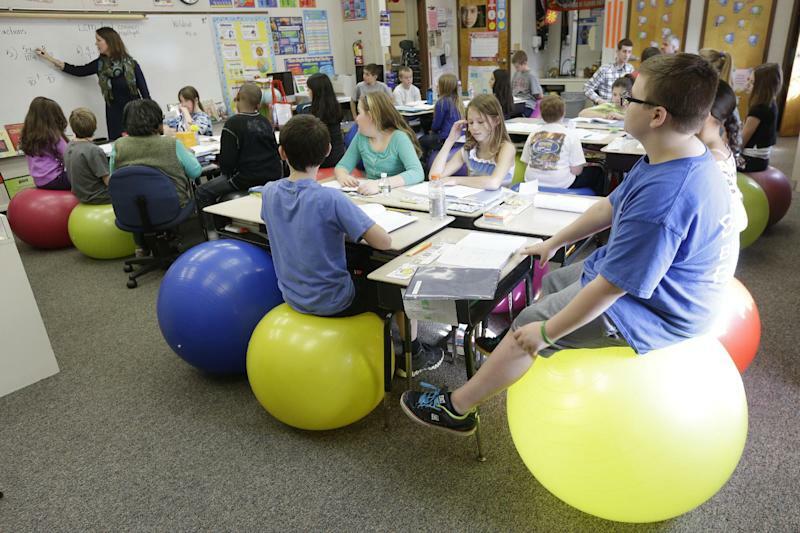 WEST CHESTER, Pa. (AP) — In 11 years of teaching, ditching students' desk chairs in favor of yoga balls is one of the best decisions Robbi Giuliano thinks she ever made. 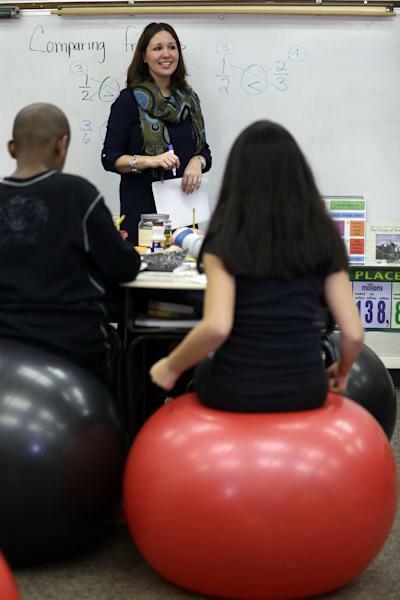 Replacing stationary seats with inflatable bouncers has raised productivity in her fifth-graders at Westtown-Thornbury Elementary School, making students better able to focus on lessons while improving their balance and core strength, she said. 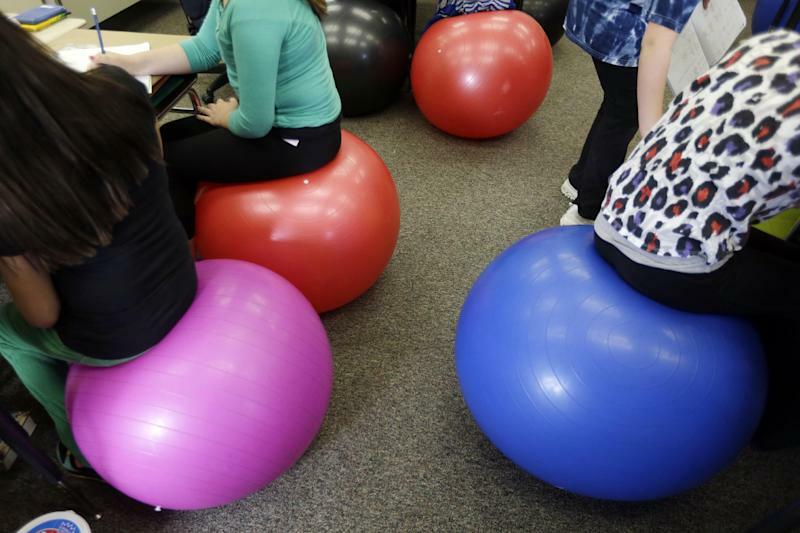 Stability balls, frequently used in yoga, Pilates and physical therapy, have even begun appearing in offices in the wake of recent studies stressing the dangers of sedentary work environments.